This throwback is from before I was born. 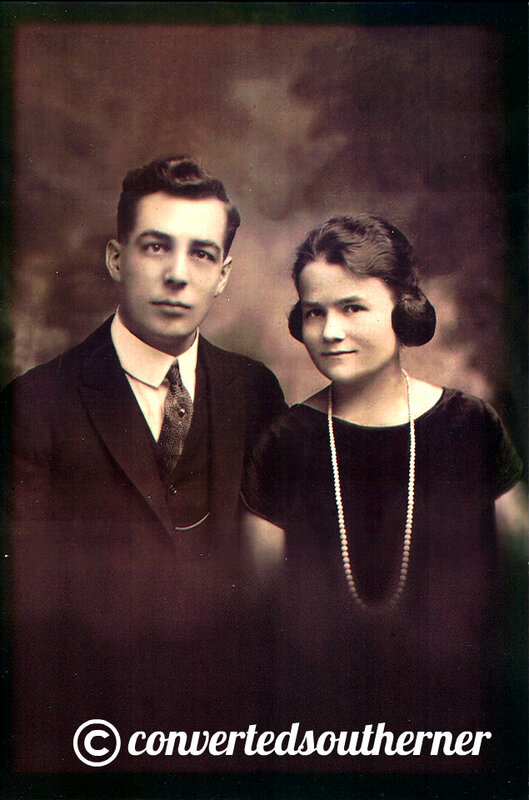 The engagement photo for my great-grandparents in 1923. My Papa Willi immigrated from near Hamberg, Germany after World War I, 1919 or so. My Nana Louise immigrated from a little town outside Stuttgart, Germany in 1921. I even have her immigration paperwork. He worked at a dairy, she worked as a nanny to twin boys in New York City. They met in 1922 in NYC, got engaged in 1923 and married in 1924. He passed away in the 1970s before I was born, but Nana Louise lived through the early 1980s and passed away when I was three… I actually do remember her. How lucky is that?